Does Rufty use a level when hanging artwork? 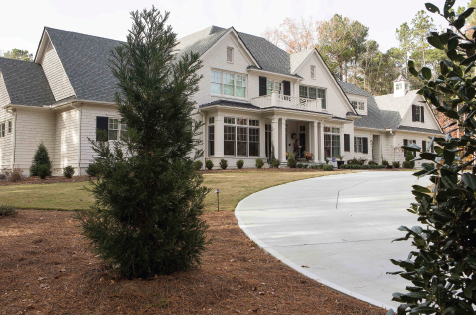 Special thanks to the homeowners of this Hills of Rosemont home in Durham. A wrap-around island houses a microwave, convection oven, and pop-up mixer; warming trays rest on top. Pull-out drawers and no upper cabinetry are trendy takes, and electrical outlets pop up from within countertops! Modern glass panels contrast well against traditional gridwork, heading upstairs. Jon Rufty. His six-week remodel took seven months, because he “waffled” on fixture and materials selections.